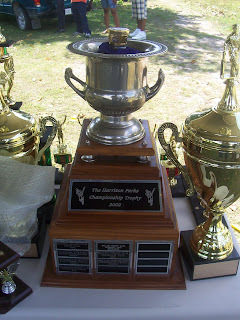 According to Elihue Bonner, President of the Belize District Cricket Association, the winners of last Saturday’s game and champions of the 2008 cricket competition, Brilliant Cricket Club of Crooked Tree Village will get to keep the Harrison Parks Championship Trophy. Since this was Brilliant’s third consecutive championship and the first team ever to register three championships, keeps the trophy forever. Trophy day is set for tomorrow, February 21, in Crooked Tree Village, the home of the champions of champions, Brilliant Cricket Club. Individual and team trophies will be awarded for the recently completed competition. There will also be an exhibition match featuring an all-star selection against the champions. In the seven years that the Harrison Parks Championship Trophy has been in circulation, four different cricket club names have been etched on its beautiful face. Those clubs are Sunrise of Lords Bank, who won in 2002; Wicked Eleven of Flowers Bank, who were champs in 2003 and 2004; Excellence of Double Head Cabbage, who won in 2005; and Brilliant of Crooked Tree, who won in 2006, 2007 and 2008. 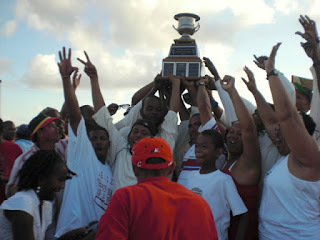 The trophy will now have a permanent home with head coach and owner, Eustace “Tes” Dawson of Crooked Tree Village. There are plans for a new trophy in honor of a yet to be named, past cricketer, to be donated for the 2009 competition. The 2009 competition is scheduled to begin with a marathon game on Saturday, February 28, 2009.